Wagamama menu prices page. Wagamama is a British restaurant chain that serves Asian-inspired foods in the style of a Japanese Ramen Bar. Alan Yau established the first Wagamama restaurant in 1992 in Bloomsbury, London. In Japanese, Wagamama means “A naughty child; one who is willful and determined” and thus, the restaurant’s management adopted the philosophy of “Kaizen”, the determination for good change which is reflected in their culinary artistry where their restless spirits are in constant search for a way to make things better. Below are the latest Wagamama menu prices. This winning philosophy has taken Wagamama to its present state where their brand of service excellence and culinary mastery has led to the establishment of over 140 locations around the globe with presence in 16 other countries aside from the UK. Wagamama locations in Australia, Belgium, Cyprus, Denmark, Greece, Ireland, Kuwait, Malta, the Netherlands, New Zealand, Qatar, Sweden, Switzerland, Turkey, the UAE and the United States are all serving the same quality of mouthwatering Omakase, Ramen, Teppanyaki, Donburi and other delightfully exotic Japanese cuisines all served fresh, full of life and soul. With its unique style of restaurant service where orders are taken via PDAs and order numbers are written on the paper mat set on group tables large enough for 16 people, the Wagamama experience is always something to share and something to come back for. Does Wagamama offer take-out and delivery service? All Wagamama locations offer take-out service of the complete menu. 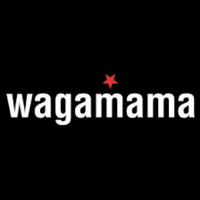 Certain Wagamama locations offer delivery service through a third party provider. Check your nearest location. How can I learn to speak Wagamama language? Guests can learn the language of ordering at Wagamama by visiting the official website. There, fans can get a crash course on the definitions of the different dishes served at Wagamama.